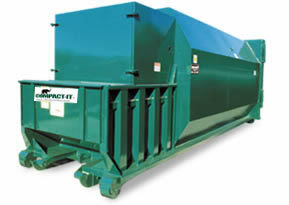 Self Contained Commercial Compactors are ideal for facilities demanding a sanitary environment. The leak resistant construction helps eliminate odor, insect, and rodent problems. 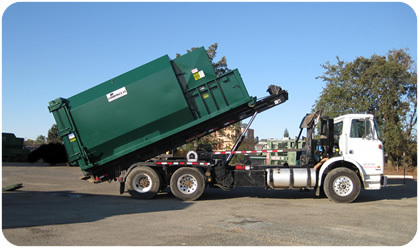 There is a large selection of standard options available such as various hopper styles, multi-cycle timers, through the wall chutes, cart tippers, odor control, and many others. 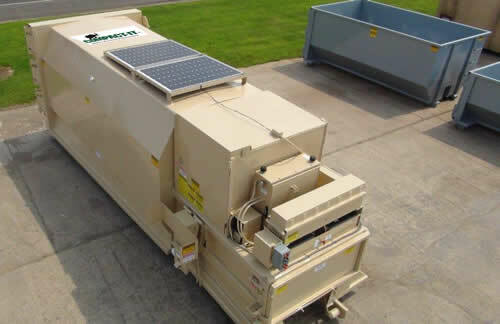 On site usage and fullness monitoring is also available.